Recently, upwards of 20,000 people gathered in the streets of Birmingham, Alabama along with radio and television personality Glenn Beck as part of a movement known as “Restoring Unity,” “Never Again is Now,” and “All Lives Matter.” The crowd marched for peace, unity, understanding and love. Those who marched in Birmingham on August 30th wanted to send a message to the rest of the country: Their presence and words mattered, and the airship above reiterated their purpose. The blimp gained social media traction with the hashtag #UnityBlimp and even helped gain the attention of The New Yorker, who published an article on the march the following week. Through publicity provided by Glenn Beck and his charitable organization Mercury One, participants as well as interested social media followers were able to experience the march firsthand. 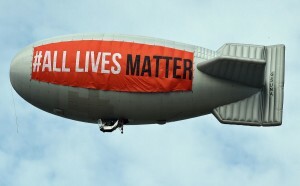 Not only did the message “All Lives Matter” resonate with the audience, but it was also projected over the entire city – reinforcing the reason behind the event for all to see (whether they were Birmingham or following via Twitter in Chicago). Interested in learning how your message reach your target audience geographically and create buzz online? Check out our airships.